Yes, All Nest Cameras Work With Google Home Hub. How do nest cameras work with Google Home Hub? You can connect your nest cameras to the google home hub through the google home app (iOS), (Android). Once you connect your nest camera to your google home hub it will allow pull up a live video feed of your nest smart cameras on your google home hub. We guide you through the steps below to connect your nest camera to your google home hub. All nest cameras are compatible with the google home hub including the high end nest IQ cameras and the nest hello front doorbell. Adding a google home hub to your smart home setup is a great way to add additional functionality to your smart home system. Google home hub is google’s newest voice assistant with a 7 inch touch screen that has the same features of the smaller google home mini and a lot more. With The google home hub you can control your smart home lights, smart thermostats, and smart cameras using your voice. 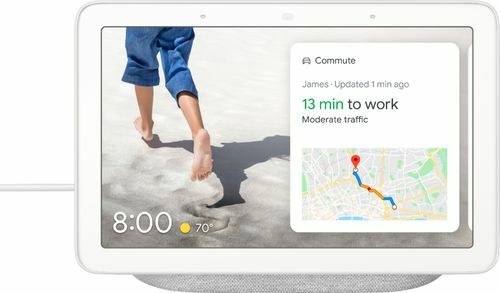 You can also ask your google home hub to play music, watch youtube videos, search for restaurants, set an alarm or check the traffic on your commute to work. Connecting your google home hub to your nest camera is great option to quickly pull up your nest camera or nest smart doorbell feed without the need for your phone. I have a google home hub in the office so I can see my nest cameras quickly with just with a short voice command "Ok Google, show me the front door” . Below you can see a live view example of a nest video feed on the google home hub. Use the Google Home Hub With A Nest Cam As A Baby Monitor. The google home hub can paired with a nest camera as a baby monitor. In the middle of the night if your phone is dead you can pull up your camera feed on your google home hub to see what your baby is doing without the need for your phone. When you get a google home hub your getting all of the great google home voice control features that google home devices are know for but also the additional functionality of a video touch screen that can stream your nest camera video feed or youtube. With the google home hub you can also control your lighting, smart thermostats, and lock. There are hundreds of different manufacturers that have compatible devices. These smart home light switches and smart home plugs are both compatible with Google Home. How To Connect Your Google Home Hub To Your Nest Camera. How to set up nest cameras with google home hub. Additional screenshots and step by step instructions below. 1. Install your nest camera and complete the set up through the nest app. 2. Open the google home app. 5. This will take your to the set up menu, click on the “Works with Google” button. 6. This takes you to a list of all the different device manufacturers that are set up to work with google home. The top bar is a search bar. Type in “nest” into the search bar. 7. When the nest logo appears in the search click on the nest logo. 8. It will then open up login in screen to the nest app. If your information is correct scroll down and click allow. Or enter your username and password and click allow. 9. Once you you click allow your nest devices will be connected to your google home hub. You can now control them with your voice. 10. You can pull up your nest camera but saying “ Ok google, show me [name of camera in nest app]” and the live video feed from your nest camera will be displayed on your google home. Alternatively if you want to pull up your nest camera feed on google home hub by swiping downwards from the top of the google home hub screen. This will show the smart home control panel. If you click the Camera control logo it will show you all of your nest cameras and you can select which nest camera you would like to view. Click the nest camera you want to view and the live nest camera video feed will be displayed. What Nest Cameras Work With Google Home Hub? The entire line up of nest cameras work with google home including the nest hello video doorbell. The original nest cam is one of the most popular smart cameras of all time, but the nest outdoor camera and nest hello smart doorbell are quickly catching up. The best nest camera for you really depends on what you are planning on using the it for. The nest outdoor and original nest cam do a great job providing you high quality HD video footage but the Nest Cam IQ can offer you a full suite of smart AI video features to distinguish between your family and strangers so it will alert you only when it spots a face that it doesn’t know. This is by far one of the most popular smart home wifi cameras of all time. It was originally called the dropcam then rebranded as the nest cam. Millions of these cameras have been sold and you can’t go wrong using one to monitor inside your home. The common uses for the Nest Cam Indoors are as a baby monitor, to check up on contractors, nannies or cleaning crews. The nest cam outdoors has all of the same great features of the indoor nest camera but is designed to withstand the harsh outdoor elements. You can plug this camera into any outlet and all of the wiring and camera are designed to be placed outside. 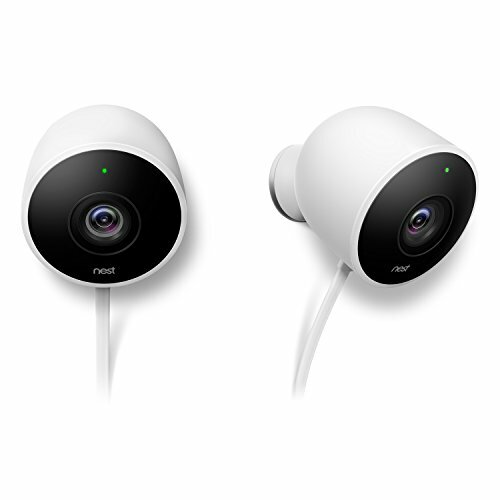 The nest camera is best if you already have outdoor outlets on your home and want to add additional security cameras. If you plan on installing the nest cam outdoor you should also plan on installing a compatible cover for you outlet like we cover in this post. The nest cam outdoors is great for monitoring your garage, font or back yard or alleyways. 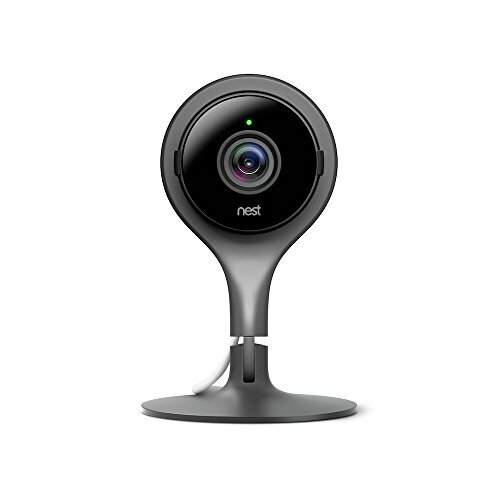 The nest cam IQ is the top of the line camera from nest with a 4K video sensor and HD video quality. 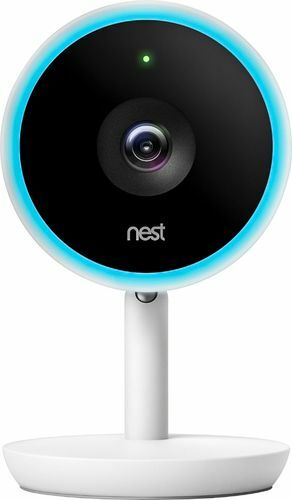 It has all of the same great features other nest cameras are known for then adds additional artificial intelligence functionality with its familiar faces feature that can tell the difference between your family or strangers. This high end camera provides unmatched high end smart features. The nest cam IQ outdoors has clean lines and the wiring is designed to be installed through walls that gives it a built in look. 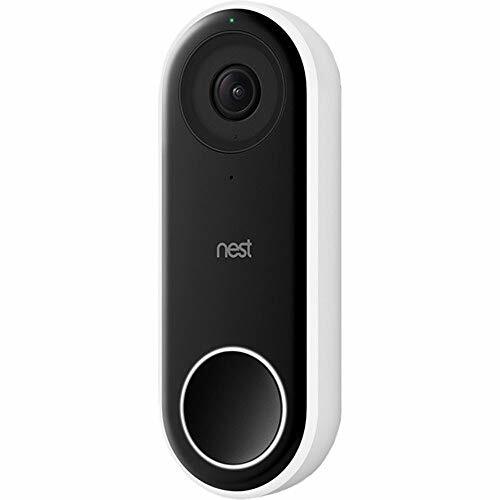 The nest hello smart doorbell is one of the best smart doorbells on the market and a great option to protect your front door if you already have a nest thermostat, nest smart lock or other nest devices. We provide a full in depth review on the nest hello in another post here. 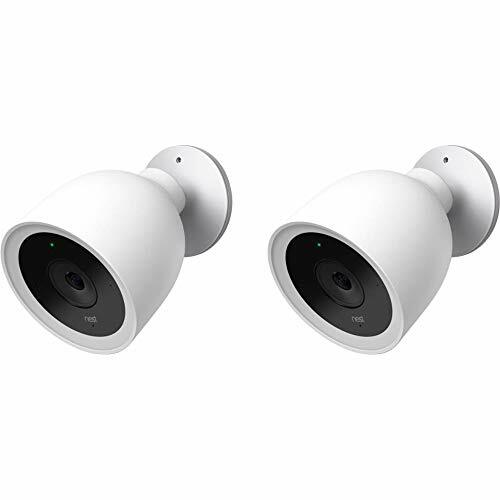 The nest IQ indoor features has all of the same smart AI features as the nest IQ outdoor camera and great resolution but is meant for indoor use only. What Other Cameras Can You View On Google Home Hub? The full line up of nest cameras can be viewed on the google home hub. We also have listed three other cameras that will work with the google home hub to display the live video feed on the google home hub.